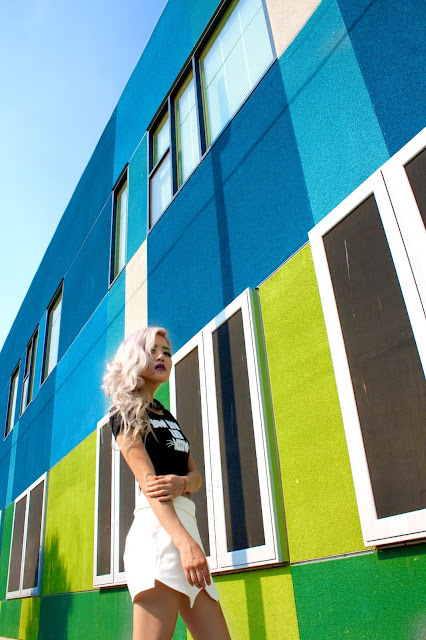 These photos are from my shoot with NIN3! It's a clothing company headed by the lovely and endearing Sideara. She's as interesting and unique as her name. She talks about MY work ethic but I respect her so much for HERS! 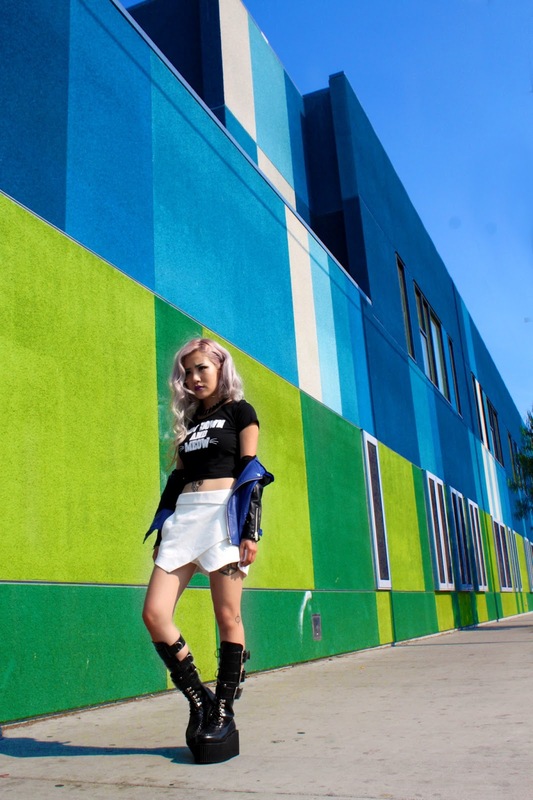 She's only 19 but living by herself in LA, acting, taking photos, and designing for NIN3--basically a superhero. ^-^ She garners the most respect from me for what she wants to do with her line. She wants NIN3 to inspire and influence teenagers and young women the RIGHT way. She wants to help girls overcome serious issues that plague us all, such as body image issues, being bullied, and in the case of my NIN3 interview, sexual harassment. 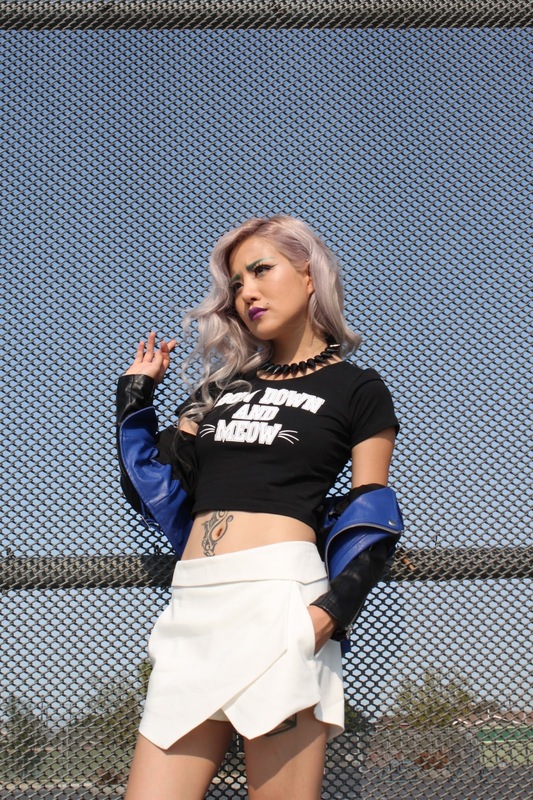 She not only designs shirts for NIN3, she also specifically chooses models who will contribute something good to NIN3's fans and interviews them on topics that will help someone else down the line. Speaking of my interview, I loved how it came out! Watching yourself on video is always weird, like an out-of-body experience, but the video came out so rad. You can watch me pet a cat and stuff. The lighting was just natural apartment lighting though so forgive the huge zit on my chin HAHA. Hey man, I'm human. Here's PART 1 and PART 2. Be sure to check out their store as well!! Amazing as always. Loving both the outfits!